52 hour weeks, long days, long drives and a lot of wine. That was my life back in 2009. I was a van driver for a wine merchant and I was working six days a week driving all over the country. It was fun but it was a dead end job, and I was slowly getting more and more tired of it. But in 2009 I found Twitter. It was still fairly new for business use back then but I set up the wine merchant with an account and started tweeting for them. They didn’t know. I didn’t know what I was doing. I just did it. No one asked me to. I hadn’t studied marketing or social media. To be fair, I wasn’t a qualified van driver or warehouse manager either. I had a driving license and that was about it. They asked me to drive for them and I said yes. 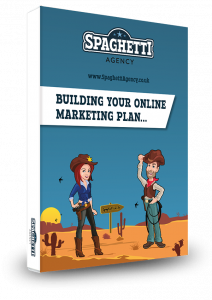 I wasn’t a trained marketer – but I started marketing their business from an iPhone 3Gs in between deliveries. Fast forward a few years and I was driving campaigns locally to raise awareness of the town of Warwick and bidding for £100,000 handouts from Mary Portas whilst also organising a local Tweetup with 300 members. I had a lot of help, but the social media noise, the Twitter handle and the events were driving the motion. No one gave me permission to join Twitter. No one gave me permission to start tweeting for a wine merchant. No one gave me permission to start Tweetups. No one gave me permission to start a blog about the Warwick Portas Pilot. No one gave me permission to publish over 100 blogs on the WarwickTweetup site. No one gave me permission to start teaching Twitter workshops from a pub in Warwick. Not once did someone knock on the window of my van and say, “Hey Todd – you’re now a local expert on social media – get on with it”. That didn’t happen, I made it happen. So get on with doing the thing that you do – and do it a lot. For over 1000 hours at least. Work on it, talk about it, share it on social media, and create content after content to show that you really do know what you’re doing. I did that and I keep on doing it. I guess what kept me going was that it kept me sane and kept my busy brain focused on something a little more demanding than driving a van. If I’d waited for the knock on the window I’d still be there. Stop waiting for permission – start taking it! … and I’m not for one moment suggesting that you start telling everyone you’re an ‘expert’. I’m suggesting that you start showing them that you’re an expert. Take every chance you can to prove that you know what you’re doing and show it with passion and determination. 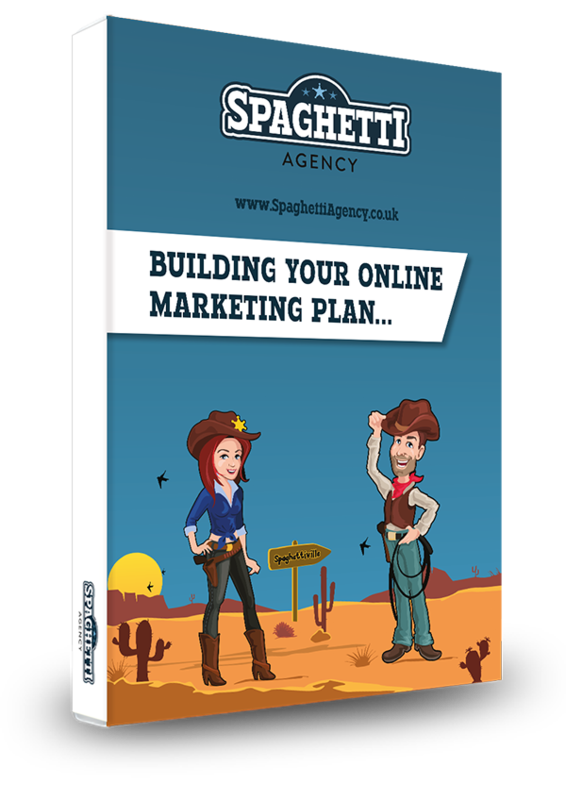 Do it with an unstoppable stream of content and expertise. Don’t wait for permission – just f*ing do it! And now? Now I’m seen as an expert on social media in many circles. I’m still not where I want to be but I’m constantly learning and improving, and working on my reputation with content, social media, networking and talks. Publish on LinkedIn, create lots of blog content, Tweet, Facebook, Snap and make some stories on Instagram. Be the guest speaker at as many events as you can and offer help to many people on Facebook groups and wherever else you can. Build your ‘tribe’? Well yes… but I like to call them my audience. Your tribe, fans, followers or whatever you want to call them are your support network and your permission to be an expert. When they start telling other people that you’re the go-to-guy or gal, you’ve made it. Keep on going at it and keep on making noise, sharing value, and being the person to go to. This isn’t an overnight thing but if you love what you do it’ll be a blast! Don’t wait to be the expert – just make damn sure no one else comes to mind. Don’t wait for permission – just f*ing do it. Don’t share the odd update on Facebook and expect life-changing results – be relentless. 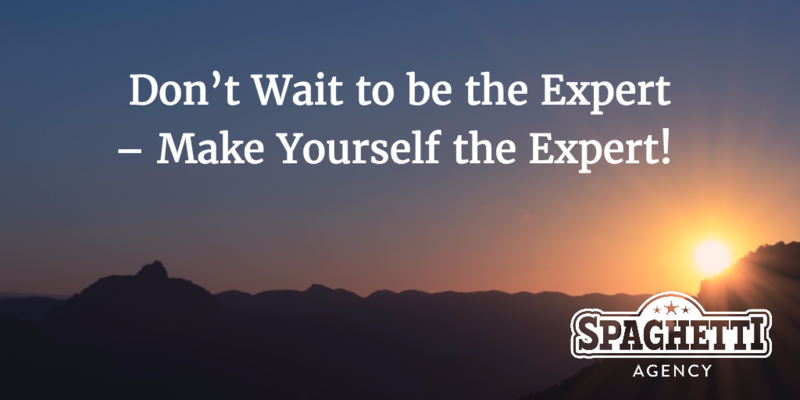 Don’t wait to be the expert – make yourself the only possible expert. It could be your year. I left my van in 2013 and started working with Jo, a gorgeous girl I met on Twitter. Had I not been loud, been proud, and got my content out there none of this would’ve happened. Make 2017 your year. Don’t wait – JFDI!